Valentine’s Day is the ideal time to indulge the senses. Along with pinks and reds, an array of hearts and a smattering of X’s and O’s, one of the hallmarks of this day for lovers is sumptuous dining. Of course, we’re partial to the latter and can’t wait to share our Valentine’s Day menu specials with you — for an entire week! Make plans to visit our newly opened Fork & Bottle restaurant now through Feb. 17 and learn why the way to someone’s heart is through their stomach. We couldn’t agree more — that’s why we’ve lined up an inspired list of fare (and a signature drink) that will have you and yours swooning. So what’s on the menu? First off: the Very Berry Valentini. This heart-winning cocktail starts off with Hangar 1 Buddha’s Hand Citron Vodka. Then we add Chambord, a squeeze of fresh lemon, cranberry juice, Grenadine and a strawberry garnish for an irresistible sip. The end result? 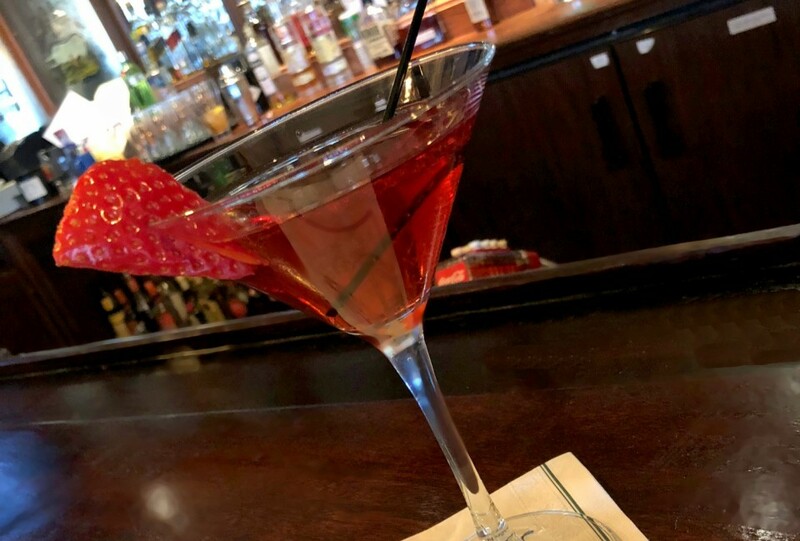 A lovely red martini that’s balanced, fruity and extremely pairable. 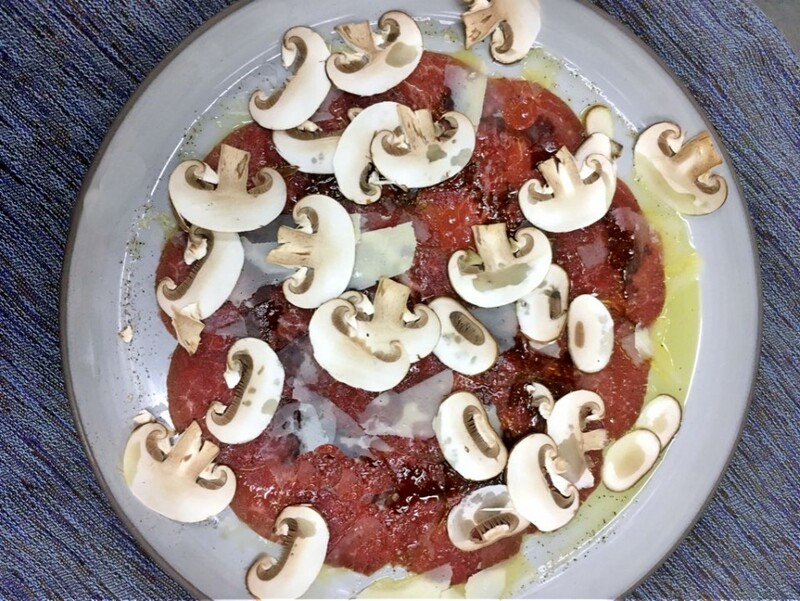 Try its flavors in concert with delectable offerings from chef Chris Calhoun’s kitchen like Italian chestnut soup or warm beef carpaccio (with 25-year-old balsamic vinegar, Parmigiano and shaved cremini mushroom). We’ll also be serving up a variety of dishes featuring prime ingredients from the land and sea. Texas akaushi wagyu beef strip loin with port-shallot reduction. 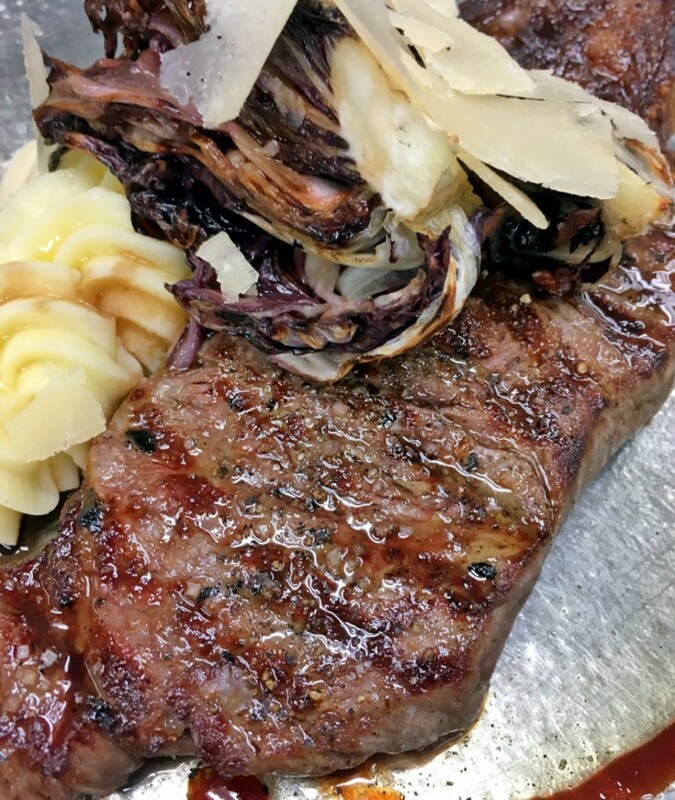 Piedmontese flat iron steak with black truffle polenta and grilled artichoke hearts. 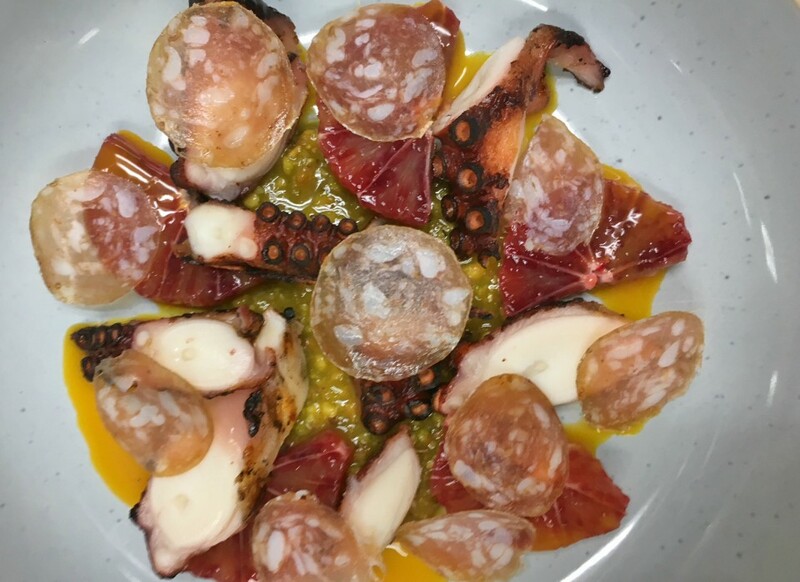 Chargrilled Spanish octopus tentacle with pistachio pesto, fine herbs, blood orange and olive oil. Sea scallops harvested from Hokkaido, seared with yuzu mousseline and cranberry. Seared Carolina waters wild albacore tuna. Massachusetts shore razor clam chowder with celery root, purple potato and guanciale. Last but not least, don’t forget dessert! 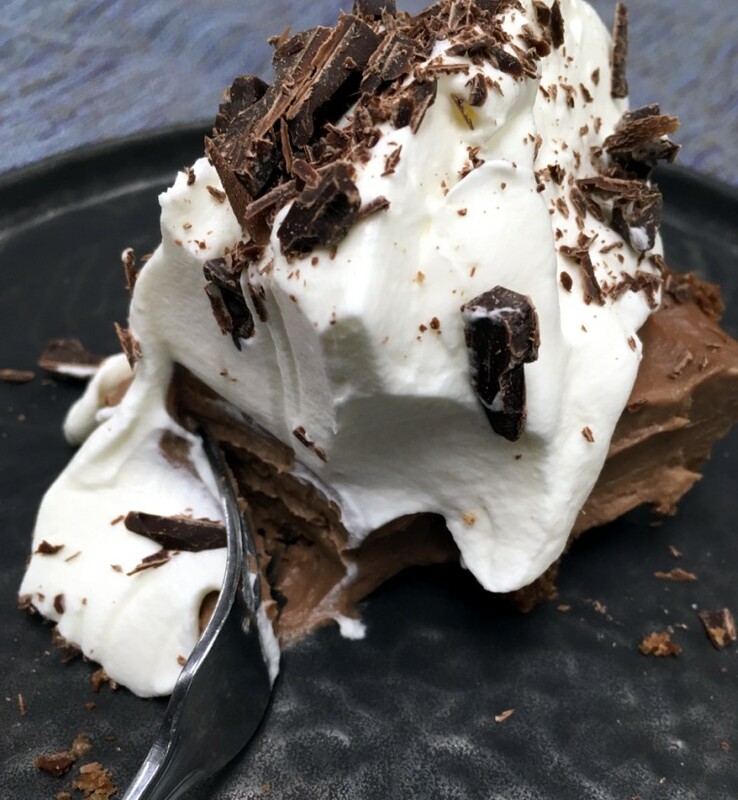 The letter “s” is in dessert twice because you can’t have just one bite (and you might want seconds!). Make reservations between Feb. 13 and Feb. 17 to savor our Valrhona dark chocolate soufflé with pecan praline crème anglaise. It’s made in house, and sure to please. Reservations are highly recommended to dine with us and celebrate a week of love! Call (610) 269-9800 or make reservations online. It’s always a good time to fall in love with our food. For 25 years, The Desmond Hotel has earned a reputation for superior hospitality and comfort. We boast 194 well-appointed non-smoking guest rooms and suites with modern amenities and hotel-wide free WiFi. Our luxury property offers three onsite dining options, two bars, indoor and outdoor fitness and beautiful grounds. We have the perfect setting for you — no matter the occasion. The Desmond is ideal for corporate meetings and retreats, wedding receptions and any kind of celebration. Events of all sizes welcome! This entry was posted in restaurants and tagged chef calhoun, chef chris, chris calhoun, fork and bottle, valentine's day. Bookmark the permalink.